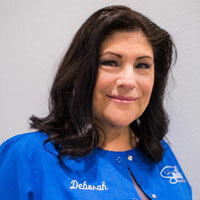 Deborah is a seasoned dental professional with over 20 years in the field with experience as a dental assistant, financial coordinator, and office manager. Deborah is an incredibly honest and caring person who truly looks out for the patients’ well-being and will always make a plan to help those in need. Deborah is very close with her family and has 6 sons and daughters and two grandchildren. Dragisa “Dee” is trained as a dental assistant from High-Tech Institute and graduated in 2007 with honors and was in the top ten graduates in his class. Dee is one of our most versatile team members as he is often assisting with patients in the treatment rooms as well as fulfilling his duties in the front office. He is a skilled assistant working with dental implants and prosthetic devices, and enjoys exceeding our patients’ expectations in creating beautiful temporary crowns and bridges for our patients while they are receiving their dental treatment. Dee has lived in Las Vegas for 20 years and loves his community and enjoys working with people. Dee is passionate about living life to the fullest and can be found hiking and exploring nature when he has some free time. Tiffany graduated from PIMA Medical Institute here in Las Vegas in 2005. Since then, she has gained many years of experience and wisdom working with patients and helping them learn about their procedures. She is by nature a very organized and detail-oriented person and is the reason why our office sparkles and shines. 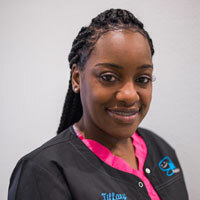 Tiffany is experienced with all dental procedures and specialties, and is the only person in the world who will tell you that she loves root canals! Tiffany was born and raised in Las Vegas. She has a big family in town and loves spending time with them. Tiffany also loves listening – and singing – to her music and spreads her joy wherever she goes by singing along with whatever is on the radio. Tiffany is a loving mother to 2 children. 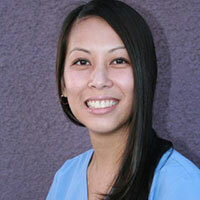 Sonia | Community Outreach Coordinator and Dental Assistant. Sonia is originally from California but has lived in New Mexico prior to moving to Las Vegas. 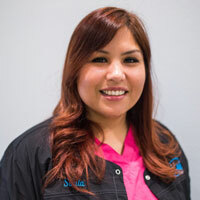 Sonia is a dedicated and multi-talented member of our team who was originally trained as a dental assistant from PIMA Medical Institute in 2007 and has several years in the dental field. She is bubbly and energetic, and anyone who meets Sonia will walk away with her contagious smile. Sonia is a loving mother to 4 children and is witty and fun. Her children all inherited her sense of humor and happiness. 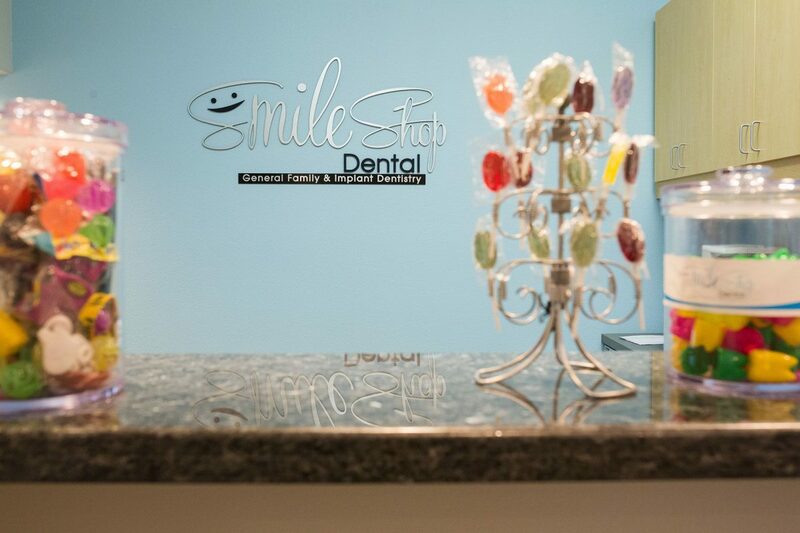 Smile Shop is honored to have one of the best hygienists in the valley. Vicky graduated from the College of Southern Nevada as a Registered Dental Hygienist in 2013, and received her Bachelors of Science in Dental Hygiene in 2015. Vicky is meticulous and diligent in her work and will spend the time to educate her patients and teach them about their oral hygiene. Trust us – Vicky’s patients know that she’ll get on them if they are not brushing and flossing as they should be between visits! Vicky is a great asset to our team and we are lucky to have her join our Smile Shop family in 2017. Prior to practicing dentistry, Vicky worked at the Venetian Casino as a poker dealer. She and her family hail from the northeast state of Rhode Island, which unfortunately has misled them to follow the Patriots in the NFL. Despite this shortcoming, Vicky is a great and amazing team player to our dental group and wonderful mother to her little girl, Elliora.